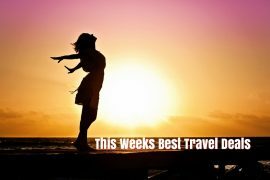 In my best travel deals this week I have ski deals, a weekend in Rome, Summer holidays to Crete, Zakynthos and South Africa, a Greek Isles and Croatia cruise and a family trip to Florida! Spring into the New Year with a skiing holiday! Crystal Ski is offering seven night holidays to Austria from €345 on the 13th of January. Price includes flights, transfers, checked baggage and accommodation on a bed and breakfast basis. Kick start your Summer with a holiday to Crete in May. Fly from Dublin on the 20th of May and enjoy a seven night stay in the highly rated Ourania apartments for only €387 per person. Price includes flights, transfers and checked baggage, with no hidden extras! Deposit of €75 secures a booking! Bring the kids to Florida this year. With prices from €425 per person for seven nights, prices have never been so low. Price includes flights and accommodation in Orlando, based on 2 adults and 2 children sharing, travelling in May. Other dates and durations are available. Enjoy a week in the stunning island of Zakynthos this summer. Visit the famous shipwreck beach, swim with turtles and enjoy some tasty Greek food. Fly from Dublin on the 28th of August and enjoy a seven night stay at the highly rated White House studios for only €433! 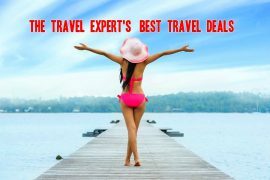 Price includes flights, transfers, checked baggage, with no hidden extras. A deposit of €75 secures booking. Take a dream trip to South Africa this Summer. Spend four nights in Cape Town, two nights in the wine lands, drive the Garden route for four nights and finish off your trip with a two night safari on a full board basis. This twelve night holiday includes flights, hotels and nine days car hire and is priced at only €1695, based on travel in May or June. Cruise Croatia and the Greek Isles on Royal Caribbean’s Rhapsody of the Seas this July. With flights from Dublin and a deluxe drinks package included, this is a steal at only €1319! Price includes return flights to Venice with checked baggage and airport transfers, a six night cruise with entertainment, meals and a deluxe drinks package. A weekend in Rome is hard to beat! Fly from Dublin on the 24th of February and enjoy a three night stay in the highly rated 4* Best Western Art Deco hotel for only €200! Located in the heart of the city this is a great choice to explore all that Rome has to offer! Next articleAll Inclusive Deal to the Dominican Republic, 1 week, 9th May €869!